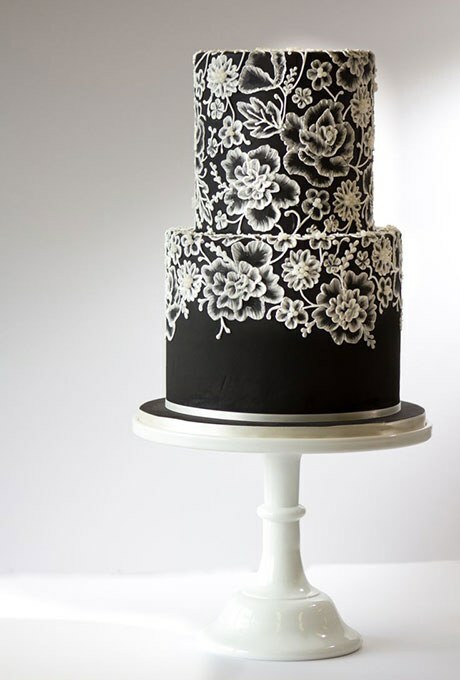 Think of a traditional wedding cake, and chances are, you will immediately envision a tiered white cake with round layers. 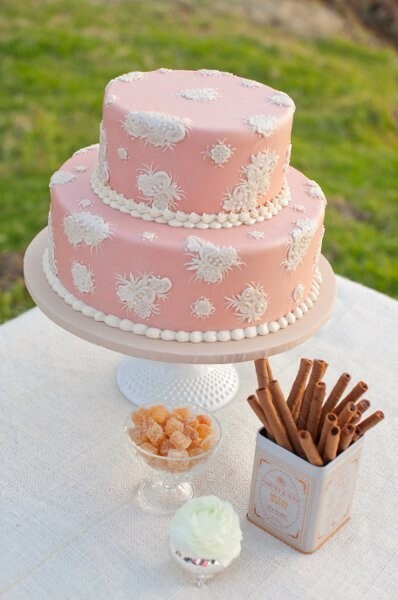 Round, or circle, wedding cakes are the standard for tradition. 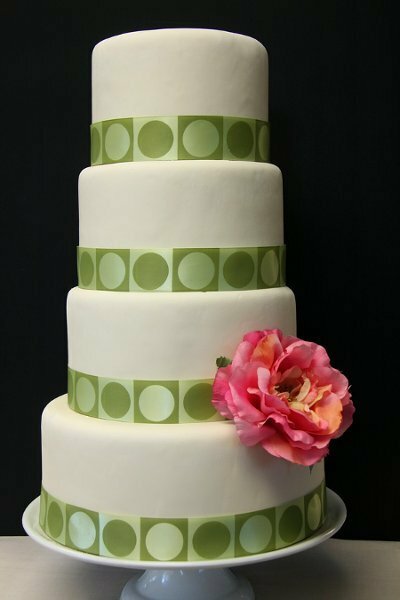 Whether the layers are separated by columns, or rest one upon another, it is safe to say that the majority of tiered cakes favor layers that are round in shape. In recent years, bakers have added interest to the otherwise traditional (and sometimes unexciting) profile of a round cake by stacking layers that are very similar in size, or by varying the height of various layers. 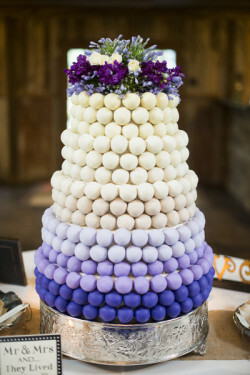 But regardless of the size and height, circle wedding cakes are here to stay. And what could be more appropriate to signify and celebrate unending love, than the circle? 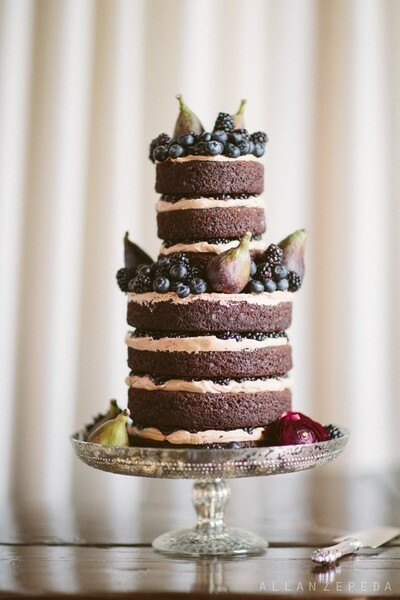 Chocolate wedding cakes are such a fun and unexpected idea, and when you make it a naked chocolate cake it takes it to another level. Today’s featured cake would be ideal for a fall or early winter wedding. My favorite color has always been purple – I just love it! So when I saw today’s featured wedding cake – a purple ombre cake – it was cake love at first sight. This cake is stunning on so many levels and not just because it is several shades of purple! 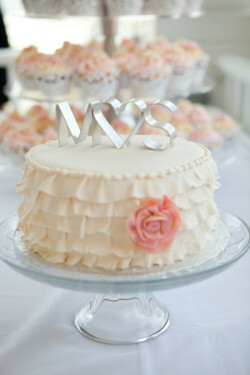 I love the idea of small-ish wedding cakes that pack a lot of punch – cakes just like today’s featured cake. 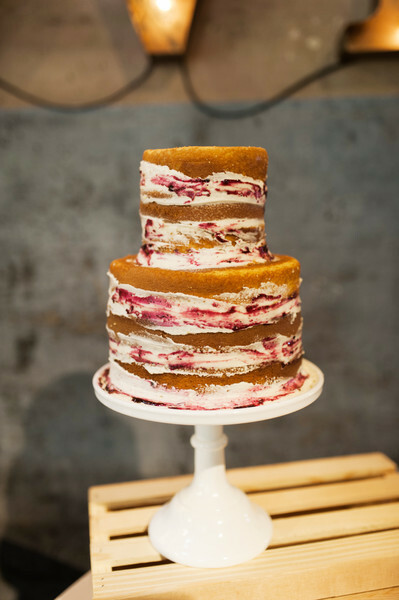 This two-tier vintage-inspired wedding cake would be perfect for a smaller wedding or if you’re planning a dessert table at your reception. If there’s one wedding cake trend I can really get behind it’s the use of fresh fruit on your wedding cake. 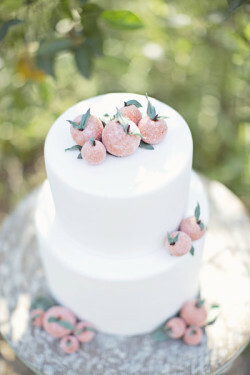 I especially love this idea when we’re in the middle of summer and all the fruit is so fresh and pretty and colorful. 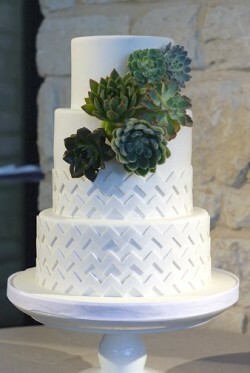 Green wedding cakes aren’t something we normally feature around here, except maybe around the holidays. But if you think about it – and look at today’s featured cake – green cakes are quite amazing. It’s not a color you’d think about when considering a wedding cake, unless of course your favorite color is green. The other day we featured cupcakes as an alternative to a big wedding cake, and today we’re talking about a smallish wedding cake as an alternative dessert. 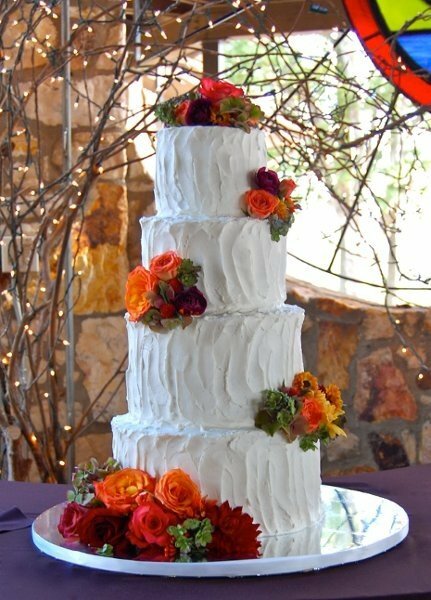 Today’s featured cake is the perfect size for a couple who wants to have a dessert buffet or cupcakes in lieu of a traditional wedding cake.